KUALA LUMPUR (Nov 8): The government of St Kitts and Nevis had in June this year deactivated Low Taek Jho's (pictured) passport through Interpol after a broad media and criminal database check, the St Kitts & Nevis Observer reported on Tuesday. 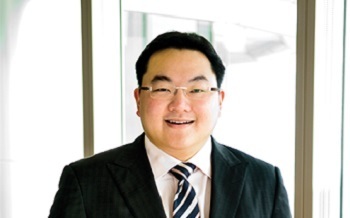 St Kitts & Nevis Observer reported it had come to the attention of the government of St Kitts and Nevis that the US Department of Justice has indicted Malaysian financier Low, better known as Jho Low, for conspiring to launder billions of dollars in illegal proceeds and to pay hundreds of millions of dollars in bribes to various Malaysian and Abu Dhabi officials. "Jho Low became an economic citizen of St Kitts and Nevis under the Denzil Douglas-led administration in 2011, but has never at any time entered the country. Immigration records indicate that Jho Low has never entered any port in St Kitts and Nevis. On June 8, Malaysian Prime Minister (Tun Dr) Mahathir Mohamad announced that Malaysia was seeking to arrest the financier, who was believed to be residing abroad. "Prime Minister Dr the Honourable Timothy Harris’ administration took the decision, out of an abundance of caution, to deactivate Jho Low’s St Kitts and Nevis passport through Interpol in June. Before an application is approved, the Citizenship by Investment Unit under Team Unity does, inter alia, a broad check of media and criminal databases. It also checks sanctions lists and makes a determination whether there are serious or pending legal, regulatory or political matters that would require consideration," St Kitts & Nevis Observer reported.